[Watch] Marvel Ultimate Alliance 3: The Black Order announcement trailer, Nintendo Switch exclusive – AiPT! The MARVEL ULTIMATE ALLIANCE series returns for the first time in 10 years—with a new action RPG—exclusively on the Nintendo Switch. 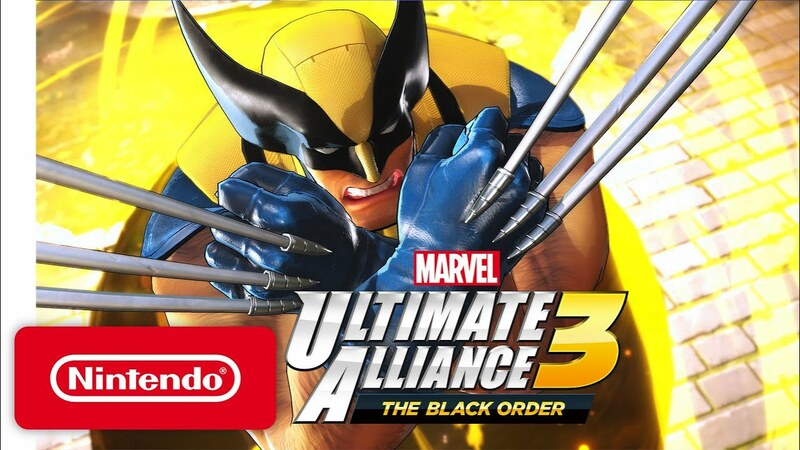 PS4 may have the exclusive rights to Spider-Man but thanks to developers Koei Tecmo/Team Ninja, Nintendo Switch’s getting the entire Marvel Universe in Marvel Ultimate Alliance 3: The Black Order, announced Thursday night as a Switch exclusive. The MARVEL ULTIMATE ALLIANCE series returns for the first time in 10 years–with a new action RPG–exclusively on the Nintendo Switch™ system! Assemble your ultimate team of Marvel Super Heroes from a huge cast including the Avengers, the Guardians of the Galaxy, the X-Men, and more! Team up with friends to prevent galactic devastation at the hands of the mad cosmic tyrant Thanos and his ruthless warmasters, The Black Order. It feels like it’s been a minute since we’ve seen a plethora of mutants alongside our other favorite Marvel superheroes (which may or may not have something to do with Disney previously not having the rights to the X-Men and their constituents), so this announcement does put a smile on my face. Marvel Ultimate Alliance 3 is set for release sometime in 2019.